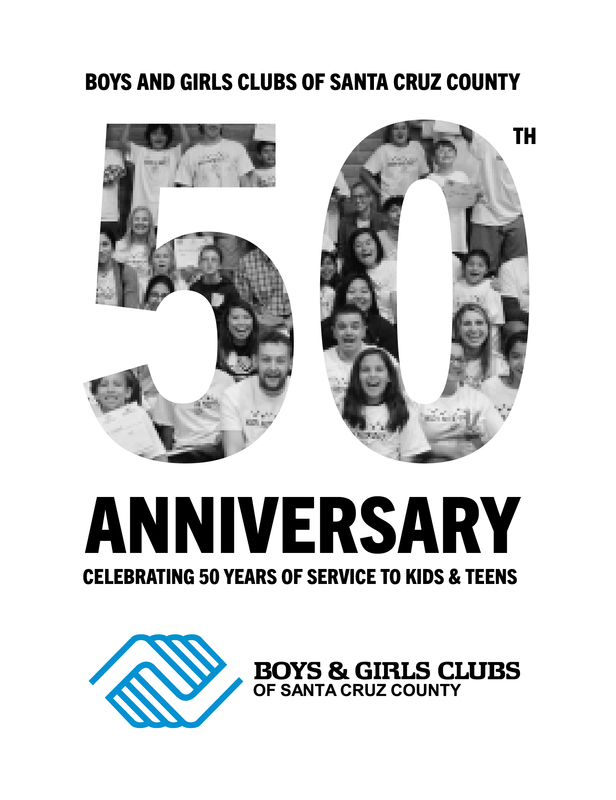 In 2019, Boys & Girls Clubs of Santa Cruz County will celebrate 50 years of service to our community. This significant achievement is the result of hundreds of dedicated staff, volunteers, and supporters coming together to provide fun and supportive places for youth to come when they are not in school. To date, this sustained collective effort has positively impacted more than 30,000 kids and teens. We are incredibly proud to be a part of what has been accomplished these past 50 years and look forward to increasing our impact in the years to come. You can support the Club as we celebrate our accomplishment in a variety of ways. You can volunteer at our Clubs, attend an event, join our Alumni Club, follow us on Facebook, Instagram, and Twitter, or you can give crucial funds to ensure that we are able to continue serving youth for the next 50 years (below).